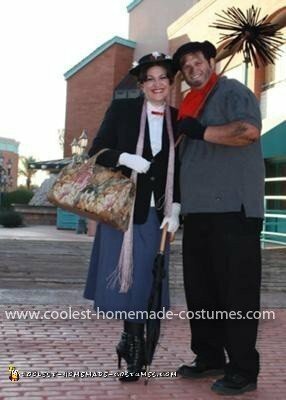 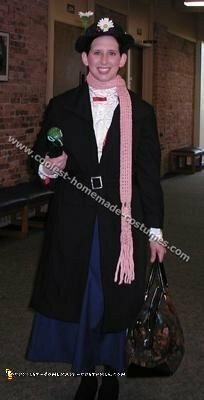 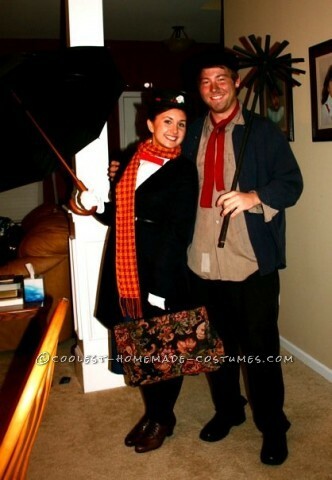 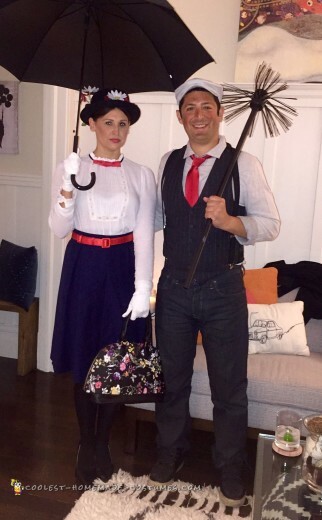 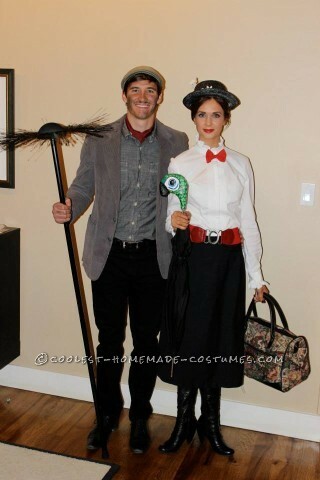 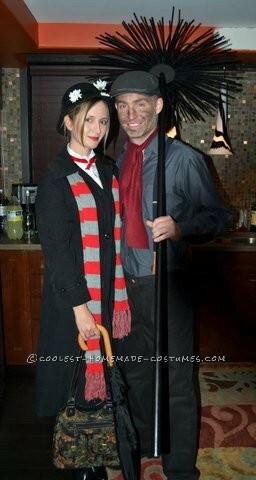 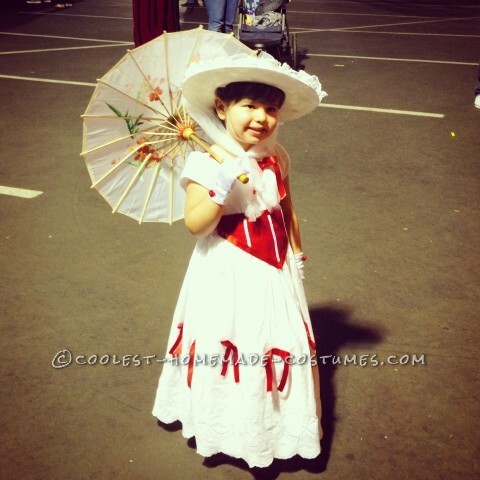 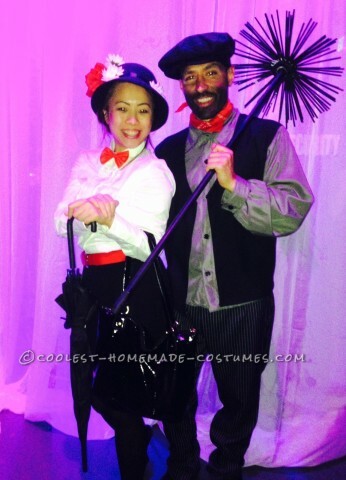 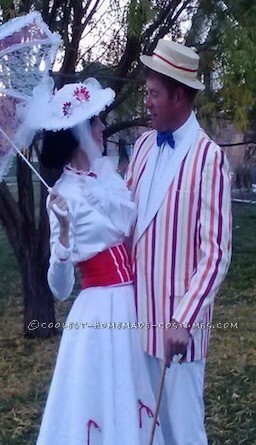 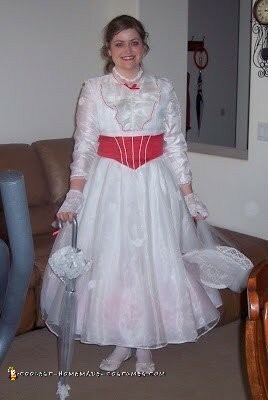 Coolest 35+ Homemade Mary Poppins Costumes... And Bert! 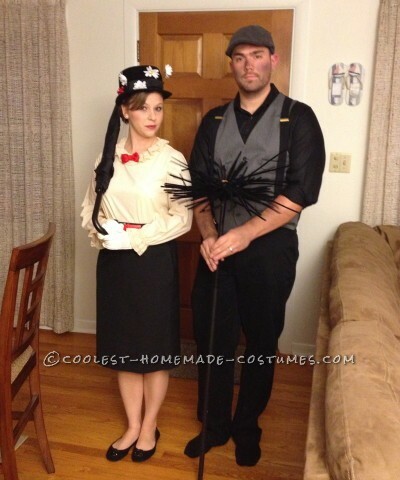 Jump into a Halloween costume as if it were a pavement drawing with this awesome collection of DIY costumes. 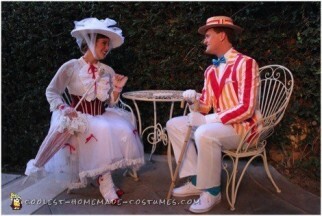 If you wished Mary Poppins would float into your house on her umbrella, these homemade costumes are a must-see. 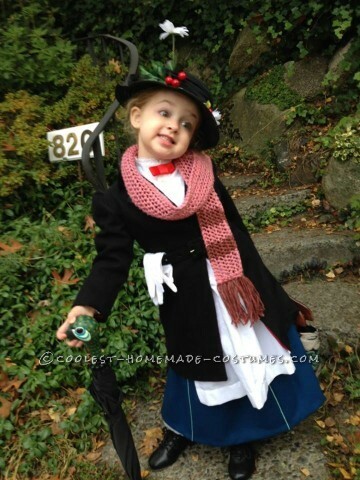 So, laugh your way to a tea party on the ceiling with these practically perfect in every way, homemade Mary Poppins costumes. 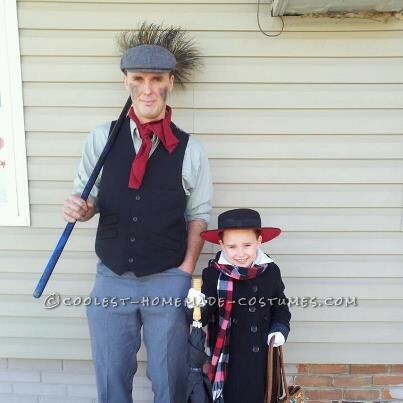 You don’t need to sing to become everyone’s favorite nanny. 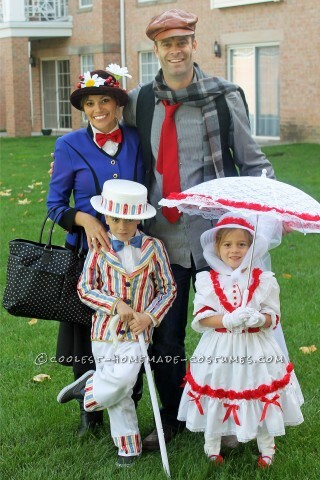 All you need is an element of fun and your homemade costume making will be a snap this year! 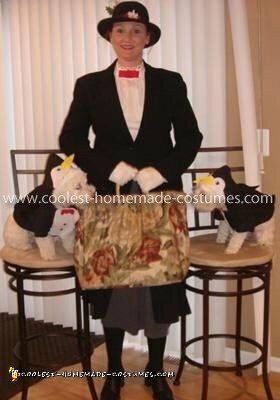 Check out the tutorials for these DIY costumes in order to make a spit-spot costume that even Mary would approve of. 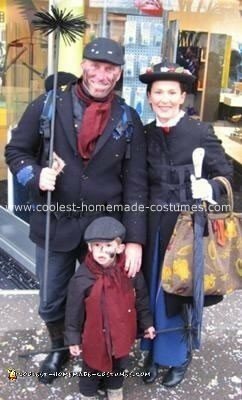 Going as a group? 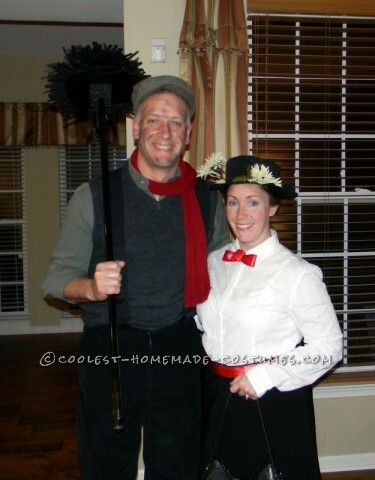 Have a jolly holiday with the many chimney sweep costumes in order to dress up as the endearing Bert. 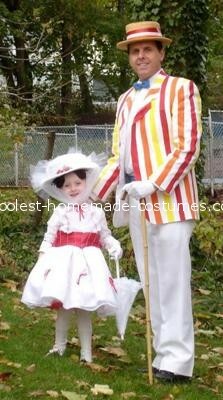 Or clean him up with a red and white jacket for a jaunt in the park. 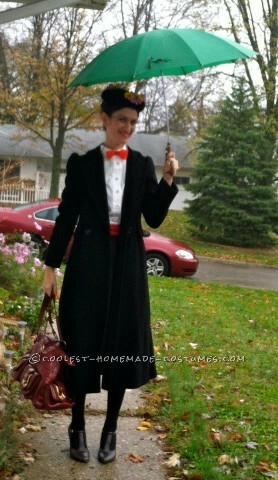 So, take your spoonful of sugar and get crafting to make your best movie-inspired, homemade costume. 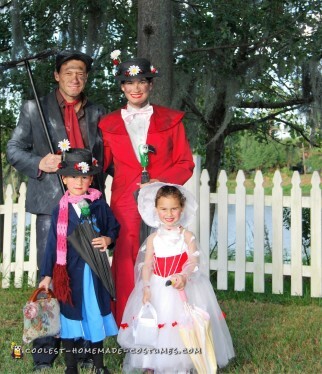 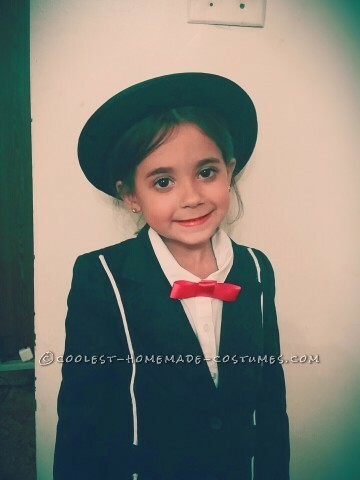 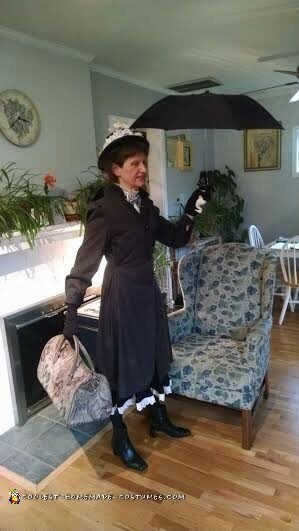 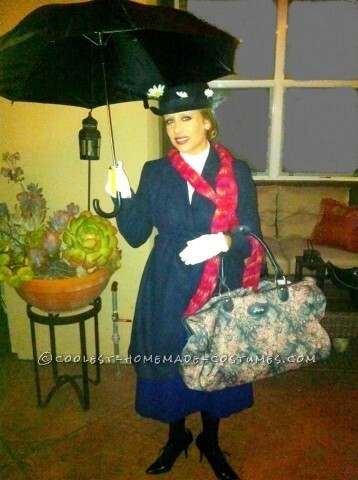 Mary Poppins Family Costume – Practically Perfect in Every Way!